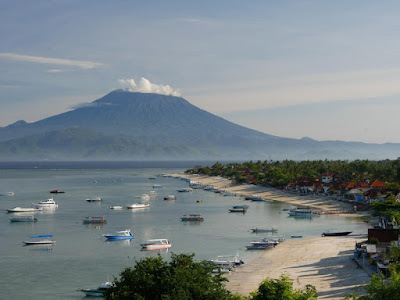 Off the south-eastern coast of Bali are three small islands, Nusa Lembongan, Nusa Ceningan, and Nusa Penida, that are said to be like Bali was 20 years ago / will be the next Bali. Quiet villages, white beaches, people who have time, no traffic, and no concrete resorts anywhere. From Bali's Sanur harbor, Lembongan is only 30 minutes by speedboat. This is what Indonesian boat travel is supposed to be like: the boat runs up to the beach, you wade through the water onto the beach, and pick a place to stay. 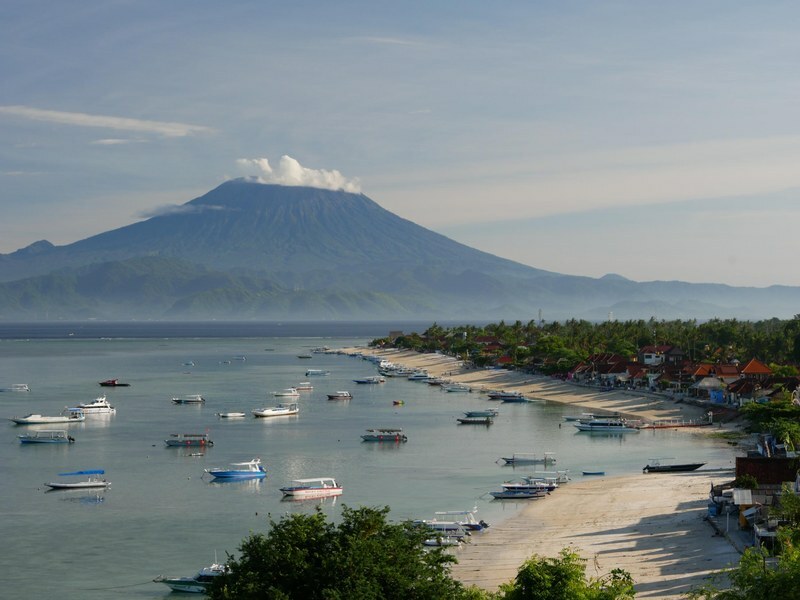 I followed the advice of some surfer dudes and got myself a bungalow up on the hill with a fantastic view over the beach and village, with Bali's Agung volcano at a distance. I'll stay here for a while.